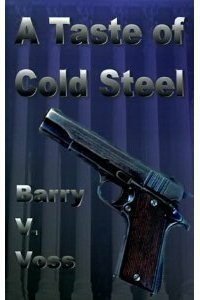 A Taste Of Cold Steel is a semi-autobiographical account of a young man caught in a drug-infested neighborhood that, due to circumstances beyond his control, is prosecuted and imprisoned only to find his inner strength and endure a rigorous program of rehabilitation. Barry Voss has drawn on his experiences to create a riveting and exhilarating journey through the criminal justice system. Barry is currently working on an autobiographical account of his experiences in the criminal justice system, as a juvenile, adult and then criminal defense attorney.